So much of what a youth chooses to believe about them self influences the outcome of their life. Whether faced with an athletic, academic, social or spiritual challenge, success starts with employing the correct choices and attitude. This is why we teach and encourage the “I CAN” attitude. An “I CAN” belief system coupled with confidence, patience and determination will enable a youth to plant their flag on the summit of any mountain in life. All of life’s accomplishments are a result of an “I CAN” attitude. 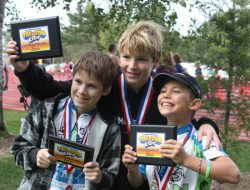 The iCAN Junior Triathlon Club is much more than an athletic endeavor. It is membership into a community that reinforces fundamental and essential life skills: Confidence, Patience and Determination. These cornerstones of character will support a youth in all aspect of their lives. Most athletic, academic and social endeavors, even at very elementary stages, focus on winning and comparison. Individual results are compared to others. This can be very discouraging and in many instances, disqualify youth who would normally try something new. In many traditional team sports a youth knows that there is only one position available to each player. Many youth invest a lot of time, effort, and energy into their sport and their only reward is sitting because another youth is deemed better. This makes it extremely competitive to gain participation time. Not every child has the same athletic or academic abilities and they come in all shapes and sizes. In many cases athletic and academic abilities change as youth mature. The iCAN approach takes the focus off comparison and puts the focus on the individual. What are the individual’s goals and what does the individual want to accomplish? In many sports, there is a clear delineation between the youth who are winners, and the youth who are not. As they get older, many youth get the message, “I CAN’T”. Failure in any undertaking in a youth’s life has a way of creeping into their overall view of themselves. “I CAN’T” is a seed that plants itself and tugs at our youth as students, as athletes, as decision makers, as participants, as friends, and as leaders. Triathlon is the “equal opportunity” sport. “Everybody” plays. It’s also a great life principal because just as in life, you get out of it exactly what you invest into it. Your goals and results should be individualized and not compared to the group. Youth who are focused on race statistics and analyze other competitors can establish this mind-set in the context of individual goal setting. In other words, performance is relative to the individual youth’s goals and simply finishing can be an overwhelming achievement. “It is not where you finish but how you finish”. We encourage youth to look at specific parts of their own performance and allow them to set new goals for improvement. Youth that embrace the iCAN attitude will be individual winners. Triathlon provides the vehicle through which we can begin to influence and reshape a youth’s attitude of “I CAN” and at the same time imbue our youth with the fundamental building blocks of confidence, patience and determination. Is doing a triathlon nuts? Sort of. But that’s the beauty of it. The races youth train for are age and distance appropriate. The overwhelming experience, excitement and energy of just completing your first triathlon is in itself one of the most rewarding experiences that any youth will ever experience. The weeks of training leading up to the event and then the culmination of race day experience is incredible, to say the least. I have seen the faces of these young athletes as they cross the finish line and witness the changes that influence their lives. The sheer fact of participating in a triathlon is success. The iCAN philosophy encourages youth to define “winning” on an individual level, first person singular. Maybe winning is swimming one pool length, running without stopping for two laps or getting up on the podium at the end of a race. Youth of all shapes, sizes, ages and abilities have a safe, encouraging and uplifting environment to reach their goals. While the disciplines of swimming, biking and running are individual and require individual commitment, the training is accomplished in a team setting. 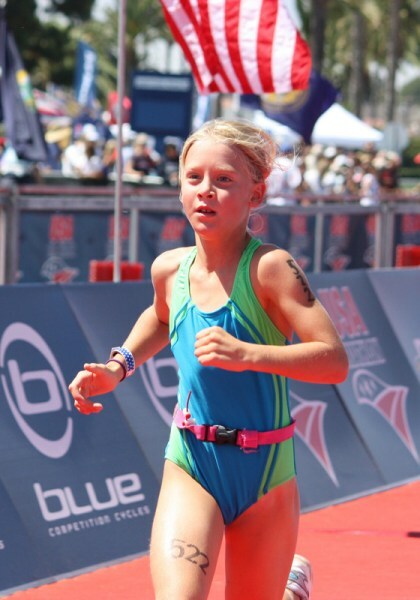 Parents of the iCAN Junior Triathlon Team will tell you that watching your child cross the finish line with their teammates and coach cheering then along, is the best kind of soul food. Then your youth looks at you and says, “I did it!” What an accomplishment!